Taisu Zhang is an Associate Professor at Yale Law School. He received his Ph.D., J.D., and B.A. from Yale University. 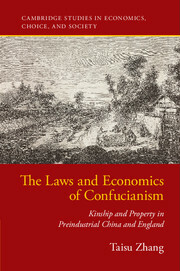 He writes in the fields of comparative legal and economic history, property theory, and contemporary Chinese law. His current book project studies the sociocultural origins and economic consequences of land-pawning institutions in early modern China and England. How Big a Deal Are Guo Wengui’s Allegations?